The Le Mars Daily Sentinel is a daily newspaper, covering local news, people, sports, business, jobs and community events, in the city of Le Mars and Plymouth County. The newspaper is over 147 years old and publishes four days a week: Monday, Tuesday, Wednesday and Friday. 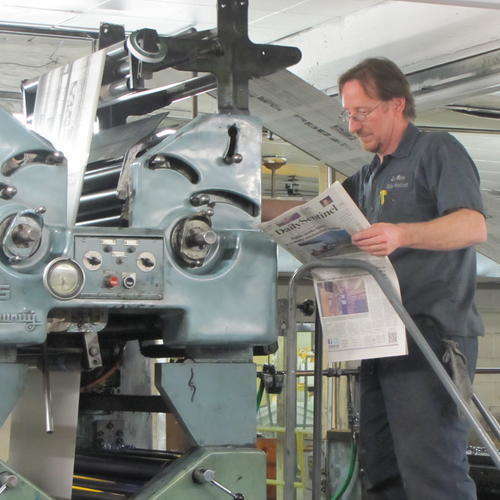 The Le Mars Daily Sentinel is a family-owned hometown newspaper. 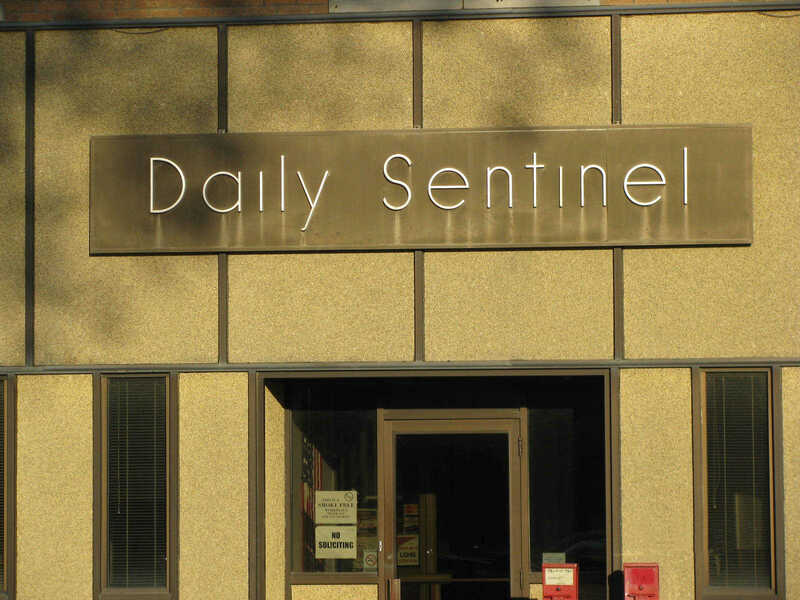 I joined the Daily Sentinel in 1995, starting in sales and design. Over the last 20 years, I have worked in several departments, this has given me the opportunity to learn many facets of the business. 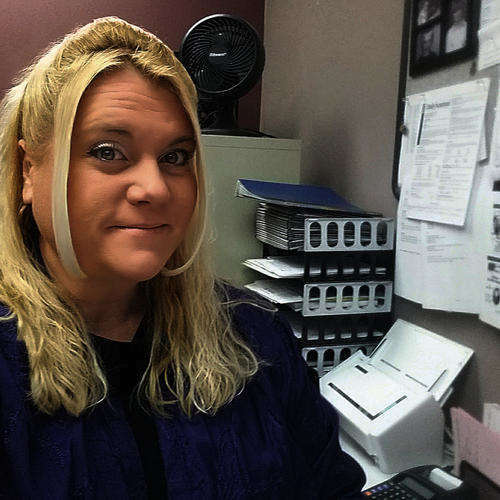 Coming full-circle, I recently shifted back to sales as an account manager. Interacting with people in the community, and building strong working relationships, are things I enjoy. I came to the Le Mars Daily Sentinel almost seven years ago in March, with no press experience. I was given the opportunity to learn what it takes to put out a newspaper. I started as a press assistant. My duties included catching newspapers, changing rolls on the press, adjusting the ink keys and more. Now, I am lead press man and have started to learn the pre-press side of the business to better understand all the fascinating aspects of the job. In January, 2015, I started my 36th year with the Le Mars Daily Sentinel. I started as a typesetter in the composition department. I also did ad design and page paste-up before moving to the news department, where I am now lifestyles editor. I enjoy sharing the stories of people in my hometown, as well as covering many events and activities in the community and the schools. I also participate in several groups in the community. Living and working in the Ice Cream Capital of the World is great. As you walk through the doors of the Daily Sentinel, I will greet you at the front desk. You may know me, or I may be a new acquaintance. 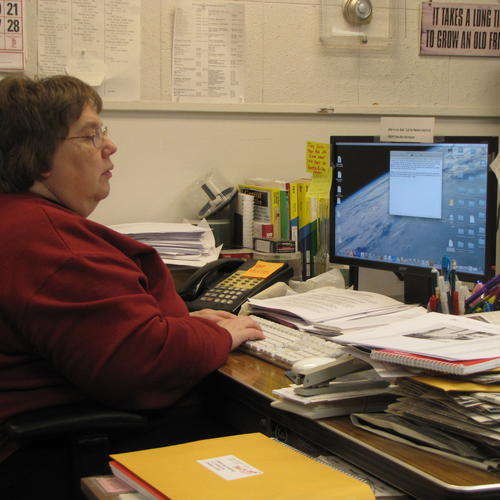 In either case, I am, Patty Roder, the Sentinel’s receptionist. With more than 20 years at the Daily Sentinel, I know how to cooperate with customers and co-workers. From subscriptions to advertising to classifieds, I can guide you in the right direction. I have a hard working husband, Terry, and two daughters. The oldest, Amanda,is a teacher and the youngest, Sara, is still in college. Fun, enjoyable, team player and hard worker all define who I am. So the next time you stop in the Daily Sentinel take a moment to say hi!